Most people wouldn’t think of visiting Maine in December. It’s cold, after all, and it gets dark about 4 p.m. Walking on the beach isn’t much fun when you’re wearing a parka, and in a lot of places many of the restaurants and shops are closed for the season. Personally, I think December is a great time to visit Maine. As most readers of this column know, I’m not a fan of crowds. 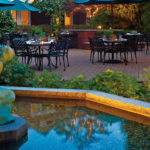 Hotel rates and restaurant prices are often much lower after the summer, and finding a parking space is easy. I also love the peace and solitude that can be found while walking through a forest or sitting by the sea this time of year. December sunsets are spectacular, too, even if they arrive a bit early. Kennebunkport’s Christmas Prelude is another good reason to throw a few sweaters into a suitcase and head north on I-95. Presented by the Kennebunkport Business Association, the town’s signature holiday festival has been taking place every December for more than 35 years. The event has even been featured on HGTV. This year’s Christmas Prelude runs from Nov. 30 through Dec. 10. Its highlights include a fine arts and crafts show, a tree lighting ceremony in Kennebunkport’s Dock Square, a bonfire, a live Nativity scene, and a Christmas fair, among many other festive happenings. Most events are free, and many of the town’s boutiques will be open to accommodate holiday shoppers. Photos courtesy of Captain Fairfield Inn. Open year-round, the Captain Fairfield Inn is located in a historic neighborhood that’s about a 10-minute walk from Dock Square and Kennebunkport’s harbor. 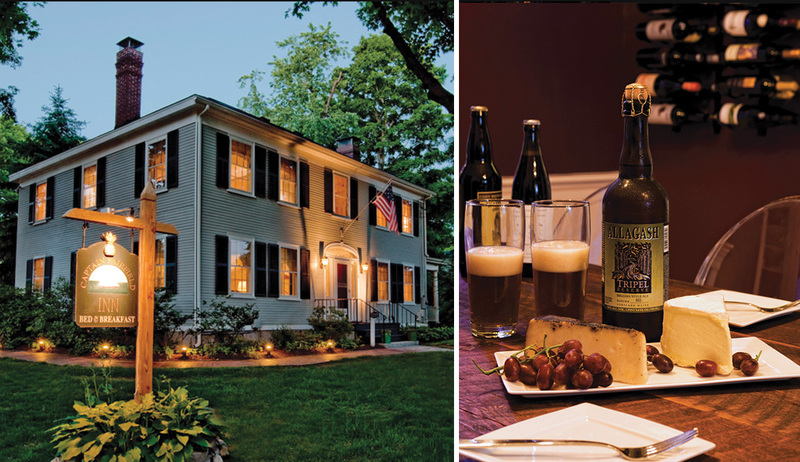 As the inn’s name suggests, the building was once home to local sea captain James Fairfield and his wife, Lois. Built in 1813, the nine-room B&B, owned by Amesbury-based Lark Hotels, offers free parking for guests. 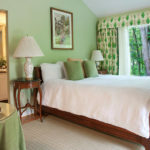 Its comfortable, beautifully decorated guest rooms and public spaces maintain many of the Federal-style mansion’s historic details, such as the wide plank pine floors and decorative moldings, while also feeling thoroughly modern. Breakfast is included in the room rate, and guests will find a variety of beer, wine and other beverages available for purchase in the communal kitchen on an honor system basis. I stayed in the Lark Suite on the first floor, a bright and spacious room with a king-size bed, fireplace, high definition television and its own private porch with a separate entrance. The large bathroom includes a walk-in shower and whirlpool tub, and as is the case with many of Lark Hotels’ properties, the room is stocked with a variety of interesting books and magazines in case you just want to sit for a while and enjoy your surroundings. Federal Jack’s Restaurant & Brew Pub, also open all year, is located right on the harbor in Kennebunk, a quick walk across the bridge from Kennebunkport’s Dock Square. 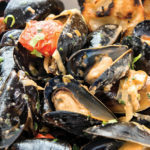 Home to the Kennebunkport Brewing Co., which is owned and operated by the Portland, Maine-based Shipyard Brewing Co., the restaurant serves a variety of tasty pub classics made with locally sourced products. As you might expect, the beers are delicious, too. With something on the menu for just about everyone, this is a great place to enjoy a meal overlooking the water, or just to come in from the cold for a while and have a drink or two. One of the things I like best about visiting Maine, or any traditional summertime destination, in the quieter off-season is the better opportunity you have to spend time with residents and get a feel for the local culture. Kennebunkport’s Christmas Prelude is a great time to do this, spend a relaxing weekend away and get yourself into the holiday mood all at the same time.